In this tutorial, we shall review how to create a new page on your Concrete5 website. Login to your Concrete5 administrator account page and click on Add Pages button (highlighted as 1.) then select the type of page that you wish to create. The new page will be created for you. You will be able to review the blocks available on it and you can edit them the way you want. 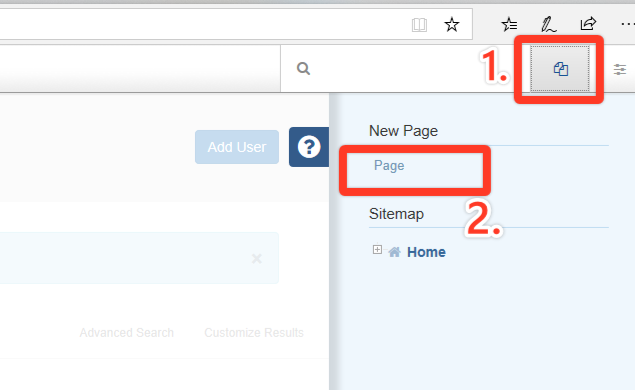 If you wish to add a block to the page, you simply need to click on the Add Content to the Page button at the top.